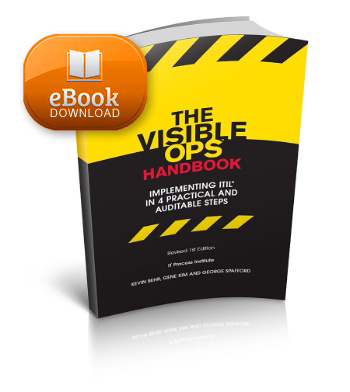 Visible Ops Handbook: Starting ITIL in four practical steps, the new handbook from the ITPI, is designed to jump-start implementation of controls and process improvement in IT organizations needing to increase service levels, decrease costs, and increase security and auditability. 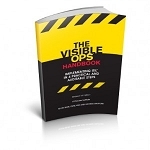 Permission is granted to the purchaser to print a copy for their own use. Redistribution of Visible Ops in any form is strictly prohibited without prior permission of the ITPI.